Celebrity marketing is a strategic marketing approach featuring a famous or influential person to offer an endorsement of a product. This famous person might be an actor, musician, athlete, ex-politician, social media star or a cartoon character. Celebrities / Influencers do not always need to be international superstars; they only need to resonate to the target audience. The key is to match the right celebrity with the right product and place them both in the right ad campaign. If the combination is done well, it can lead to huge profits and an elevated change in the public perception of a company. For instance, a famous skateboarder might be unknown to the population at large, but beloved in the circle of young men that energy drinks are being marketed to. Compared to other branding and marketing vehicles, the effects of Celebrity marketing is more immediate and garners a tremendous amount of earned media / press. Marketwatch reports that a simple announcement from a brand signing a celebrity or athlete can cause an increase sales by 4% – 12% on average. A Harvard Business School (in collaboration with Barclay’s Capital) study notes that brands with Celebrity-led branding, leave an uptick in stock and investment capital in the long run. Global Marketing Research Agency, Nielsen notes that “While advertisers have started to follow consumers online, a third of online advertising campaigns don’t work—they don’t generate awareness or drive any lift in purchase intent. As consumers are in control of how they consume content and interact with brands more than ever, understanding ad resonance across screens is the only way to successfully drive memorability and brand lift today”. We think different at The Lumenere Group, we don’t just believe in the power of Celebrity. We believe in the power of the ’RIGHT’ Celebrity. The level of achievement a celebrity attains in their life. Negative events, situations, or characteristics consumers associate with a celebrity. Can the celebrity be trusted as a credible source of information about a product? Does the celebrity have experience in this area? The degree of confidence consumers place in a celebrity. Is the source physically attractive? Do consumers recognize the celebrity? Does it make sense for the celebrity to endorse the product or brand? Industry researches (Wharton, Forbes & MarketWired) have conducted a study where ad and social media campaigns featuring (video and still) images of athletes were tested against the same ads with no endorsement. The new research finds that celebrity athlete endorsements deliver significant brand lift and direct response results. • A 27% increase in purchase intent, a measure that speaks to brand and behaviour goals. It’s largely reported that after Chanel signed Nicole Kidman in 2003, it was reported that global sales of the promoted Chanel’s perfume increased by 30%. And when Nike and Tiger Woods inked an endorsement deal in 2000, Nike’s market share went from 0.9% to 4% in a mere 6 months. However, even after Nike decided to keep Woods despite his highly publicized scandal, the company suffered a loss of $170 million in sales, they still came out with a 22% market share on the lifetime involvement of the now disgraced player. Nike continues to spend $1 Billion annually on getting athletes to endorse their brand. A recent study by the University of Taiwan, found that consumers remembered products better if celebrities had endorsed them – regardless of whether they are actual fans or not. The human brain recognizes celebrities similarly to how it recognizes people we actually know. Brands increase awareness, trust and familiarity, which are important variables in the purchase decision-making process. Consumers feel more sympathetic towards a brand, if their products are promoted by a celebrity they admire or relate to. It’s a simple psychological effect: Subconsciously people believe that purchasing a product that’s promoted by a celebrity they admire, will allow them to emulate the celebrity’s desired traits or attract similar people into their lives. The effect is that, if consumers happen to be fans, they place a higher value on products that celebrities are endorsing – it is as if they are receiving advice from a trusted friend. Research studies by the University of Arkansas in collaboration with the Manchester Business School in London, determined that consumers (ages 18-24) take on an active role in developing their identities and appearance based upon celebrities. Global Marketing Research Firm, Nielsen performed a study that broke down the level that celebrity endorsements resonate with different generations. Celebrity advertisements clearly resonate the most with people from 15 – 34 years old (Gen Z and Millennials). Marketing values have changed throughout the years as well. From once using a products’ attributes as the key point of selling, to involving celebrities, today it’s mainly about how well a company manages to educate consumers about the personal values, benefits and quality of a product. It’s about being less transactional and more personal. Brands need to provide tools to help consumers validate the individual fit of a product or service for their individual situation. Celebrity endorsements and influencer marketing continue to play an even bigger role in the world of marketing. Influencers (the new celebrities) are very influential and hold strong ties with their fans. Influencer marketing can deliver you an ROI of 960% when done correctly. Celebrity powered endorsements play a prominent role in the psychology of brand association and influencing consumers. The influence of Celebrity over Brand perception and purchasing power is undeniable. Engaging Celebrities can be an extremely rewarding process for any Brand. 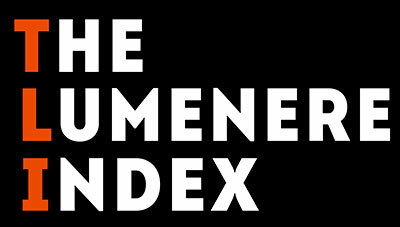 With the hefty investment, Brands & marketers look to strategic market research like our The Lumenere Index (TLI) to make Data-driven decisions on what Celebrity to engage. Strategic Research helps determine if a Celebrity would be a good fit for your Brand. Our research focuses on the “match-up hypothesis” protocol. Many Brands might believe that simply throwing any attractive Celebrity into a campaign is easy common-sense marketing. However, studies have shown that “credibility overrules the attractiveness” of a Celebrity. When consumers believe that the Celebrity and the Brand “match up”, the recall of the campaign and impact of the marketing initiative increases. HOW CAN TLI (RESEARCH) HELP ME? 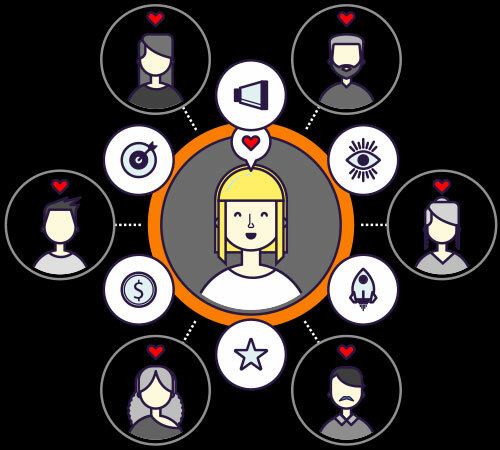 TLI is an independent attribute ranking report that provides marketers with a systematic approach for qualifying the use of celebrities in their marketing initiatives. 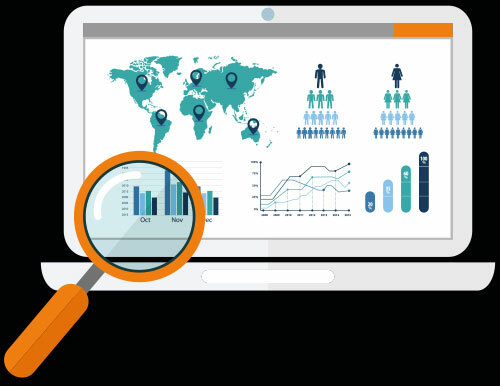 Brands, agencies and marketers can now measure and compare the impact of consumer perceptions of Celebrities in specific demographics and markets. An incredibly valuable tool when finding the right marriage between Brand and Celebrity.